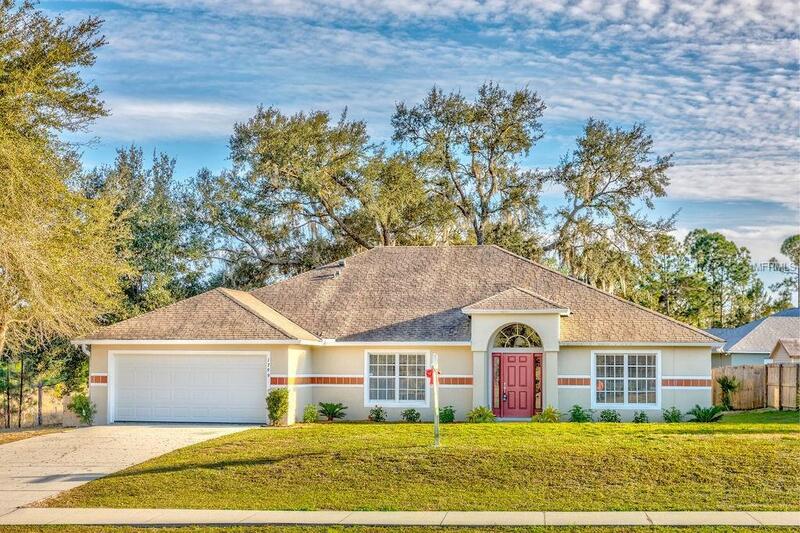 Deltona: Recently renovated LARGE and BRIGHT concrete block home conveniently located in a quiet part of Deltona. New paint and carpet, new STAINLESS STEEL appliances, and more. High ceilings throughout with SPACIOUS rooms and a brilliant layout, including split bedrooms, formal living room, formal dining room, and separate family room. The builder has ownership in the home and first-hand knowledge of the quality craftsmanship that went into each detail. Features include impressive CLOSETS, large laundry room with utility sink and cabinetry, screened back porch, oversized garage and a master bathroom with dual vanities, separate shower and jetted whirlpool tub. Adjacent to wooded nature preserve that will never be built on. FULLY FENCED backyard with view of a pond, perfect for enjoying nature. Five minutes from I-4, thirty minutes to the beach, close to shopping, restaurants and so much more! MOVE-IN READY!